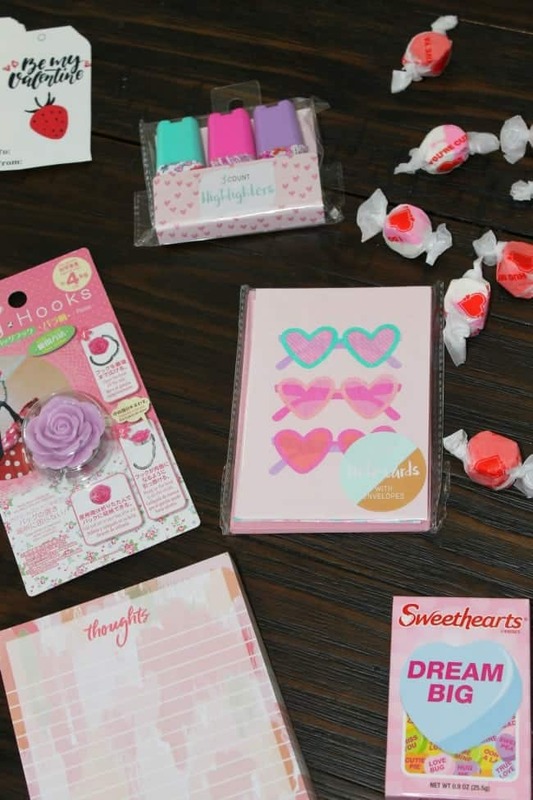 Valentines Gift Bag Ideas that are perfect for friends, family and neighbors. Free printable tags for you to download and use to make someone’s day. Hello Friends! I hope you had a wonderful weekend! We enjoyed watching some football and catching up on some reading. This time of year I am also still implementing goal setting tactics and also preparing for the Big Game. But of course, we have Valentine’s Day just around the corner. I love celebrating this holiday and when the kids were younger we used to enjoy celebrating Valentine’s together as a family. Now that the kids are older, I still celebrate with friends and family. 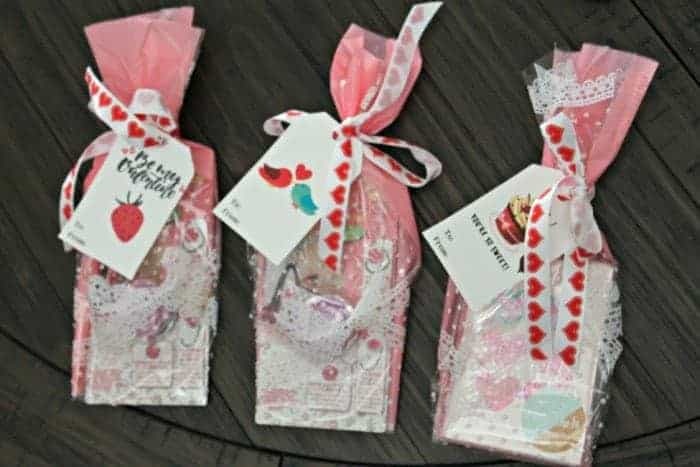 If you are looking for a fun, inexpensive way to celebrate with friends, we have a few fun Valentine’s gift bag ideas for you. Homemade treats are always a hit, but store bought ones can save you some valuable time too. 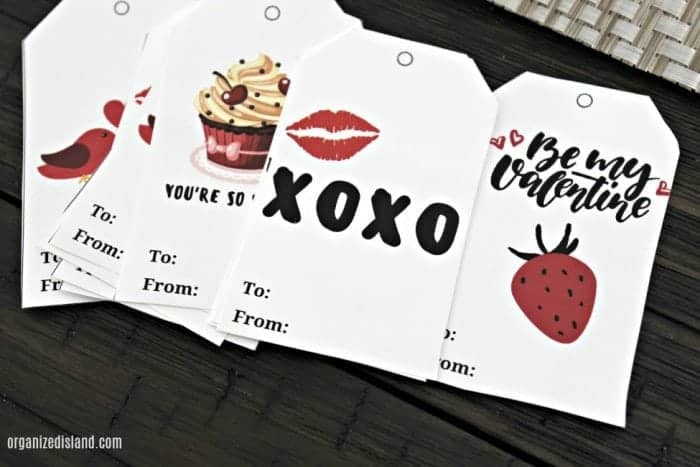 At the bottom of this post, you will find some free printable Valentine’s gift tags that you can use to make someone’s day. We have some pretty Valentine’s Gift tags for you to download and print out. Just print these out on some card stock and cut them out. They are perfect for tying with a ribbon or string. Valentine’s Day is a great time to get together with friends for a Valentine’s tea or Galentine’s gathering. Get your free printable Valentine’s gift tags here. Fun! I love putting together themed gift baskets. Cute tags! Visiting from Inspire Me Monday party. Too cute. I think giving away gift bags is such a treat. Like when you’re trick-or-treating and you get a treat bag instead of one thing. Valentine’s Day rocks!